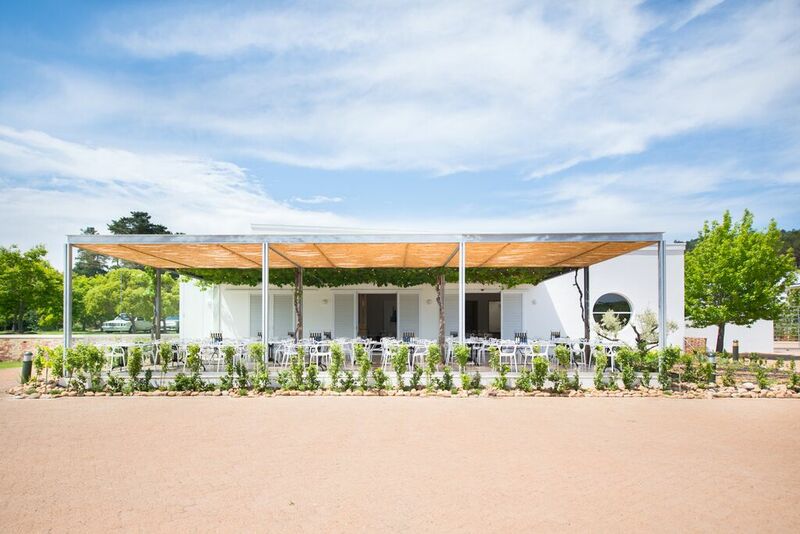 Morgenster Wine & Olive Estate has collaborated with renowned Italian chef, Giorgio Nava, to create 95 at Morgenster, a new world-class restaurant that will undoubtedly attract locals and tourists alike. A mere 35 minutes from Cape Town and set in the stunning landscape of Somerset West, the restaurant boasts undeniable Italian flair evident in the carefully selected menu and subtle décor. 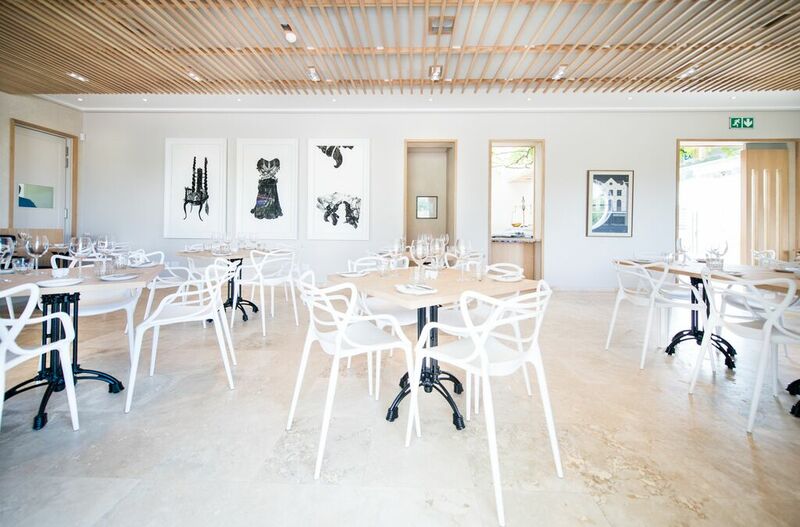 Estate owner, Giulio Bertrand, approached Nava due to the success of the chef’s celebrated Cape Town restaurant, 95 on Keerom. The original 95 on Keerom combines the finest Italian cuisine with stylish, minimalist interiors, allowing customers to enjoy both food and aesthetics. Having completed the design for 95 on Keerom, as well as all of Nava’s other successful restaurants such as Carne, interior design firm Inhouse Brand Architects was the obvious choice for the much-anticipated 95 at Morgenster. The Inhouse team, led by Creative Director Aidan hart and Senior Designer Annelise Botes, decided to move away from the style precedent set by 95 on Keerom. They decided to establish a brighter, lighter character for the new restaurant in order to complement its idyllic location. The restaurant building sits beside one of the Morgenster estate lakes and enjoys stunning, uninterrupted mountain views. 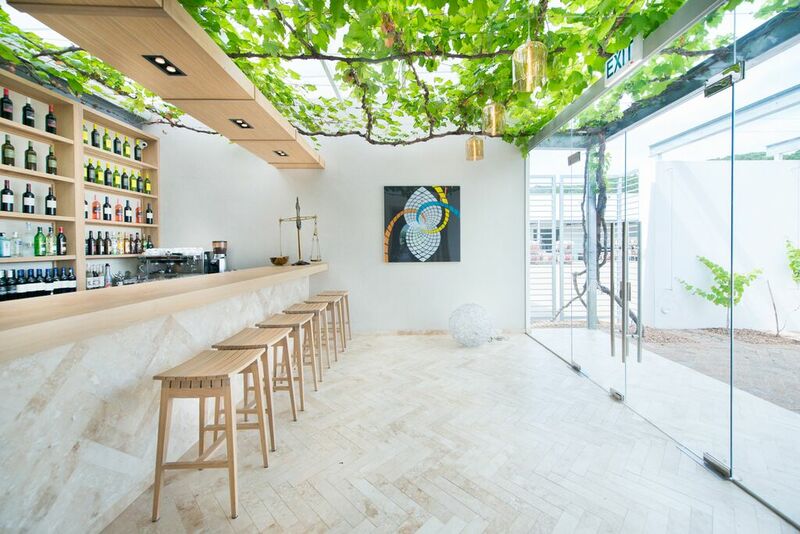 Green vines encompass the ceilings of both the outer deck and the bar area, adding an organic element to the clean lines of the space. Some pre-existing elements had to be integrated into the design, such as the chairs, tables and tiling. Inhouse’s refurbishment made use of these elements while introducing a sense of individuality and Italian influence. 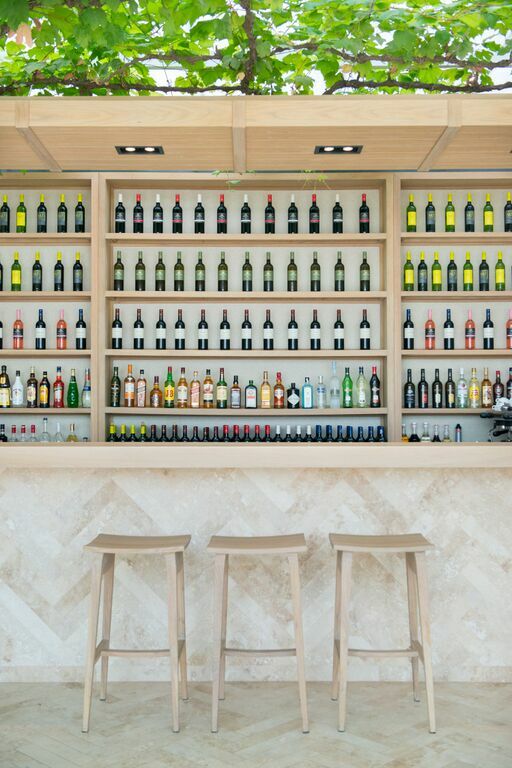 The restaurant’s entrance opens up to the bar, which has a neutral yet welcoming colour palette. Although the building’s tiling had already been installed before Inhouse started, the bar area flooring had not yet been completed. Inhouse incorporated a Herringbone tiling pattern to add a subtle element of intricacy to the space and differentiate the bar from the other areas of the restaurant. Wooden features such as the bar itself, the stools, and bulkhead, are key features of the design. These natural materials perfectly compliment the organic aesthetic of the vines spread across the celling. The same colour palette filters through to the main dining area. Wooden features mixed with clean, white elements are the main design features used throughout this space. Large wooden sheets cover the majority of the celling. Incorporated into this decorative cladding are the lighting fixtures and acoustic panels. Inhouse introduced Morgenster’s signature colour and a hint of depth into the design in the form of dark blue upholstered booths that line either side of the area. The variety of fine art displayed throughout the space is another standout element. Artworks by the likes of Norman Catherine, Diane Victor, Andrew Verster and an assortment of other artists, adorn the walls. Small, subtle downlights line the outer edge of the celling to highlight these pieces, recreating the energy of an art gallery. Guests can enjoy fine dining, not only with spectacular views, but also with the opportunity to engage with artworks by some of South Africa’s most respected artists. Combining Nava’s award-winning menu, a selection of internationally acclaimed Bordeaux-style wines, understated Italian-style design courtesy of Inhouse, and the beautiful surroundings of Somerset West, 95 at Morgenster has succeeded in establishing the perfect recipe for a world-class restaurant.